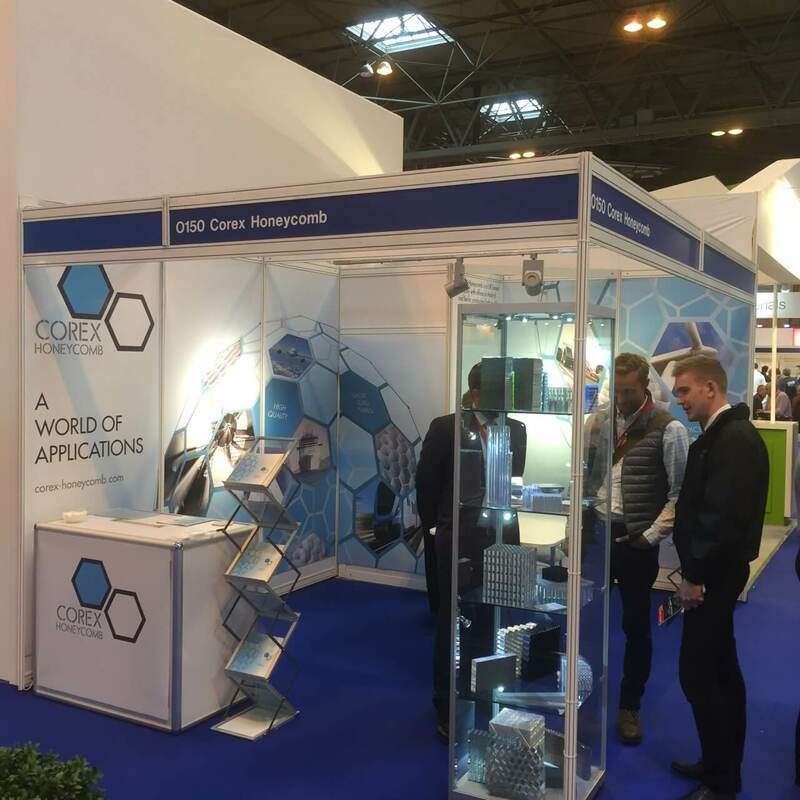 Following on from the success of JEC World 2018, Paris, France and Engineering Materials Live, Birmingham, UK, the Corex Honeycomb team are busy preparing for the exhibitions coming up in the second part of the year. InnoTrans is the world’s largest trade fair focused on the rail transport industry. It is held every two years at the Messe Berlin exhibition centre, which has outdoor standard gauge railway sidings which can be used to exhibit railway vehicles. During the weekend after the trade show the public can visit the rolling stock on display. There are 2955 exhibitors in 41 exhibition halls and an outdoor display area with many rail related events taking place featuring industry speakers, forums and tours. Engineering Materials Live is the second show of its kind Corex Honeycomb has attended this year, but at a different venue, Duxford Imperial War Museum. It is a specialist UK exhibition meeting the needs of engineers tasked with sourcing and specifying plastic mouldings, composites, prototyped parts and advanced engineering materials. Advanced Engineering is an annual gathering of advanced engineering professionals, connecting the entire supply chain with R&D, design, test, production & procurement from OEMs (Original equipment manufacturers) & top-tier industry players. The event includes five co-locating show zones as well as conference sessions. Come and see our range of aluminium honeycomb and discuss your project needs. We have added a flexible aluminium honeycomb, SuperFlex to our product range. The cell geometry has been adapted so the honeycomb can bend and flex, making it suitable for applications where the surfaces are curved. SuperFlex has the same properties as our standard honeycomb and is available in the same alloy grades. We will have samples of all our range on the stand at each exhibition, so come and take a look. We can now offer our Test Facilities to our customers, including Lap Shear, T-Peel, Climbing Drum and Flatwise Tensile. Our stringent test procedures guarantee the highest level of accuracy. All tests use a Universal Test Machine (Inston or Lloyds machine). Come and discuss your requirements with us.